I used toothpicks and bobby pins to the different patterns. The orange nail polish is the best, because very quikly dries and very well cover. 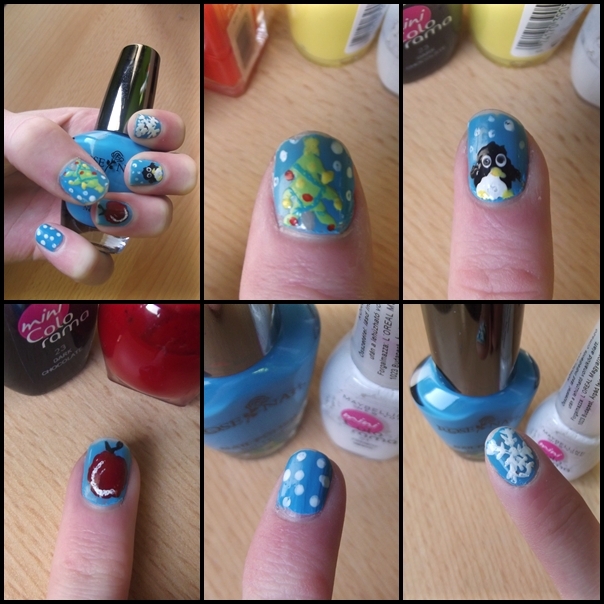 The blue nail polish is cheap,16 ml and well cover, but highly liquid.